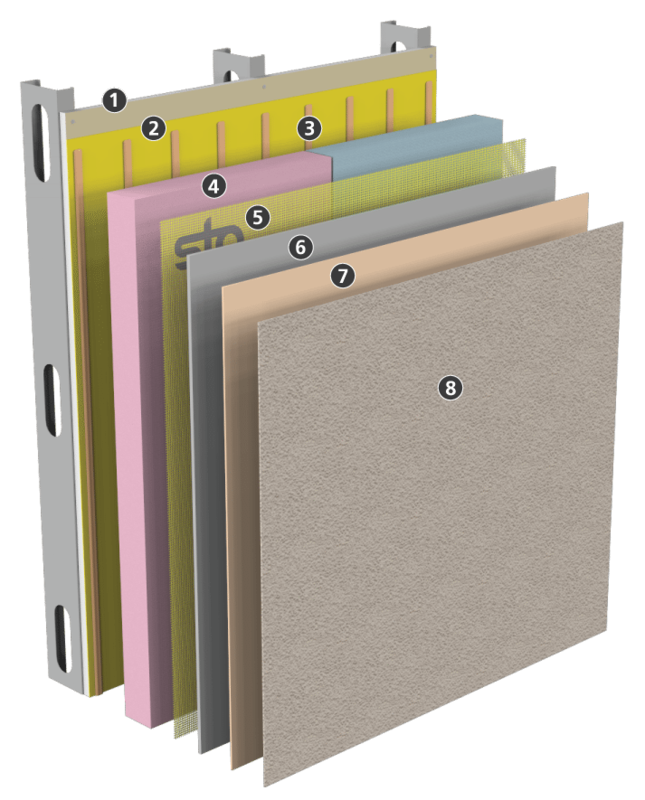 StoTherm®ci XPS Lotusan - Sto Corp.
StoTherm® ci XPS Lotusan is a fully-tested EIFS system providing superior air and weather tightness, excellent long-lasting thermal performance and durability. StoTherm® ci XPS Lotusan combines StoGuard® liquid-applied air and moisture barrier with Owens Corning Foamular CI-C or Dow STYROFOAM™ Panel Core 20 insulation, and Stolit® Lotusan, a unique textured finish with self-cleaning properties. 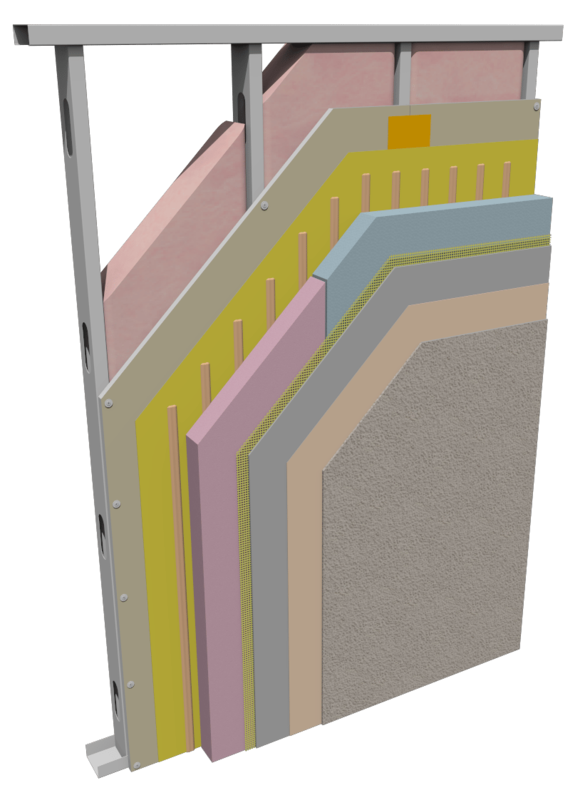 This sustainable, high-performance wall system helps lower energy costs and reduces the carbon footprint of buildings. This sustainable, high-performance wall system helps lower energy costs and reduces the carbon footprint of buildings. In addition, StoTherm ci XPS offers unmatched aesthetic choices thanks to a wide range of decorative and protective finishes available in virtually unlimited colors. This system utilizes Owens Corning Foamular CI-C or Dow STYROFOAM™ Panel Core 20 insulation and is shown on a commercial steel wall frame.